We're here to help you plan your next adventure. We are happy to arrange your lodging and meal packages for your stay. 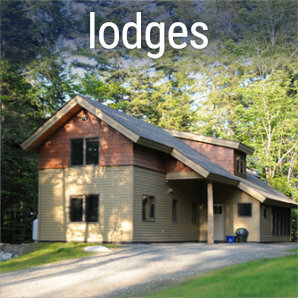 We have a wide variety of lodging options that you can choose from. 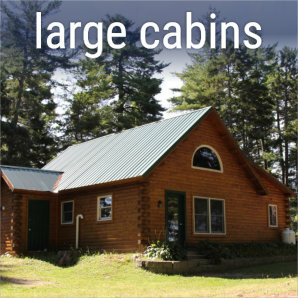 We have full-service accommodation at our location at Twin Pines/NEOC where our cabins have complete linens and offer all the benefits of a hotel with the space comfort and privacy a cute and comfortable cabin lakeside to Millinocket Lake. 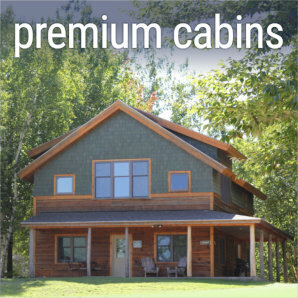 Many of the cabins enjoy views onto the lake. 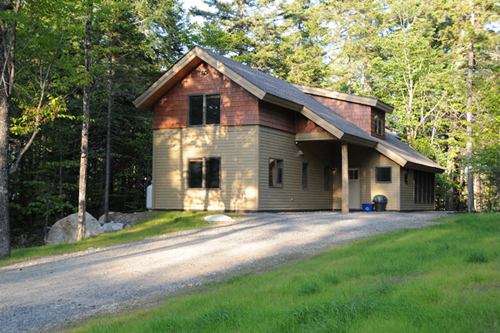 At the New England Outdoor Center, we offer a wide variety of lodging options for individuals, couples or groups. 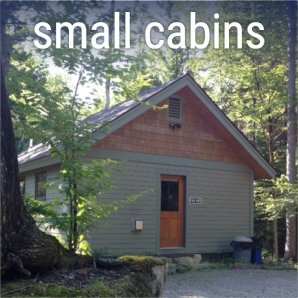 We invite you to come experience camping in the Maine wilderness, unwind in our cozy Maine cabins or enjoy our new “green lodging” accommodations at the luxurious Coveside Cabins. We encourage our guests to book vacation packages early as possible. Weekend dates and holidays will sell out fast! Book today, call 1-800-634-7238. Our whitewater rafting barbeques will more than wet your appetite. We have an award winning restaurant right onsite at NEOC which is open year-round for dinner and is open for breakfast, lunch and dinner in summer and in Winter, for updated menu and hours at "The RD" click here. 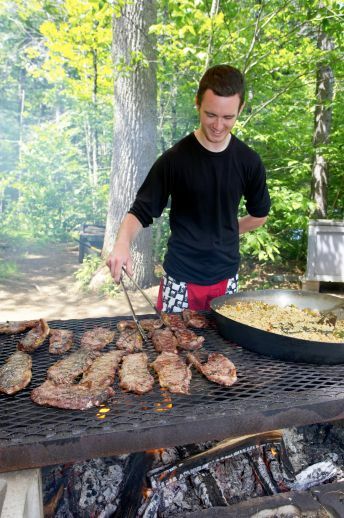 For our whitewater rafting trips, we take great pride in our BBQ lunch along the Penobscot River. The BBQ lunch includes your choice of steak or chicken, rice, veggies and more! A hearty lunch and snack are included with all classes. To schedule your next adventure on the water, call our reservation office at 1-800-634-7238. We suggest that you choose a few date options so that we can fit you into the best slot. Upon receipt of a 50% deposit, we will send your confirmation material and our instruction program. All balances must be paid in full prior to arrival. Our normal cancellation policies apply.